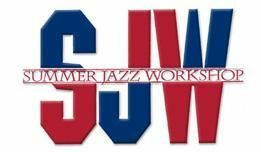 Learn more about Summer Jazz Workshop here. The Summer Jazz Workshop is an exciting five week intensive youth oriented program that focuses on the fundamentals of music and its associated business aspects for young musicians.The program has trained over 10,000 student musicians in its 40 plus year history with many students having gone on to become successful Jazz recording artists, band and music instructors, doctors, lawyers and productive members of our community.The Summer Jazz Workshop is open to middle school, high school and 1st year college students.Students must have their own instruments to participate in the program. Sessions are conducted by experienced faculty musicians who expose the students to various subjects and concepts not fully covered by private and/or public school systems. SJW offers its “Artist-in-Residence,” and Advances N Music Technology as part of the workshop’s curriculum along with the following subject areas: theory, composition, improvisation, leadership, public speaking and performances. AIR will expose students to musicians and professionals in education, business, performance and technology. The AMT will employ the “iRealb” an indispensable tool that helps in every aspect of Jazz studies including: ear training, practice, understanding forms and composition. Students will be are able to demonstrate their skills by participating in a number of public performances held each week during the workshop. Students enrolled in the workshop are given the opportunity to perform at the Houston International Jazz Festival and the Mayor’s Scholarship Jazz Brunch. Become a part of this exciting summer program now.